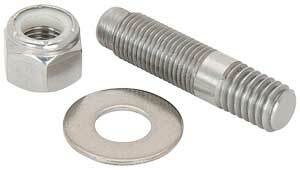 JEGS Distributor Hold Down Stud 3/8" x 1-1/2"
Distributor hold-down stud includes nut and flat washer in stainless steel to prevent corrosion and for long lasting service. Fits Small and Big-Block V-8 and 90° V-6 Chevrolet. .